Austral Fold Downs have more line space for greater drying flexibility and fold down to a tiny 6-8cm side profile. The side arms are all tubular steel including the front bent corners to ensure strength and durability. 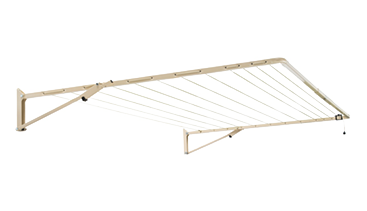 All Austral Fold Downs are supplied with Pre-Assembled side arms to make installation a breeze. 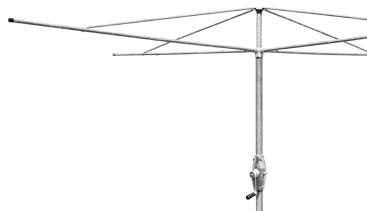 The Austral RetractAway is a versatile 5 line clothesline suitable for use from a minimum distance of 2mt and up to a maximum distance of 8-10mt. 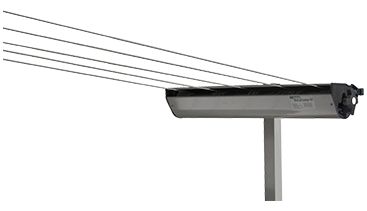 The RetractAway is ideal for situations where aesthetics are important to the overall appearance. 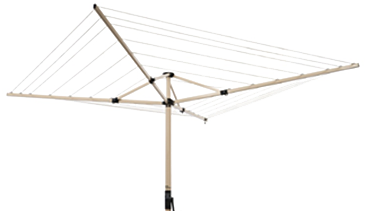 This line is also suitable as an undercover line in a carport, garage or laundry due to the 2mt minimum distance. Austral also manufactures a range of Commercial and Domestic Mailboxes. Several of the Commercial Mailboxes are available as Mailbox Banks. 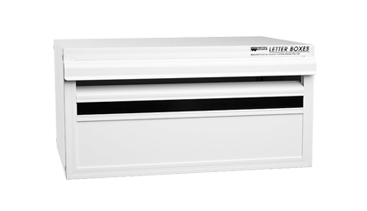 All Mailboxes are manufactured using sturdy Aluminium with many quality features to ensure strength and rust resistance. Mailboxes are manufactured to order and are available in a large range of Powdercoat colours.